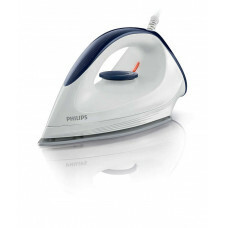 Fast heat-up timesRubberised rear part for a safe standErgonomic handle for a secure gripVariable te..
Philips GC 160/02Affinia is the Philips dry iron with DynaGlide soleplate, which glides easily on ga.. 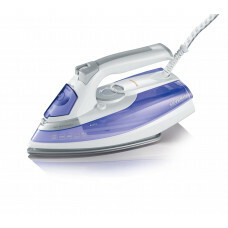 STEAM IRONBA 3222white-purple-greyCapacity / Content: 325 mlOutput: approx. 2700 Wfor steam and dry ..